Dr. S.R. 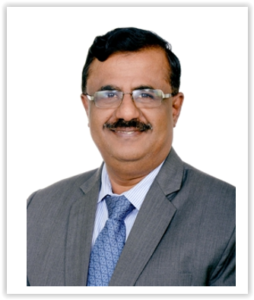 Shankapal is currently the Vice-Chancellor of M S Ramaiah University of Applied Sciences, Bengaluru. He has a doctoral degree from BITS Pilani alongwith a postgraduate degree from IIT Madras. Earlier he served as a Director, and later became the President of M.S. Ramaiah School of Advanced Studies (MSRSAS). He has been awarded research grants of more than Rs. 100 million from the Indian government departments, industries, UKIERI and EU in the last 10 years. His subject areas of interest are Control Systems Engineering, Vehicle Dynamics, Automotive Power Trains and Energy Conversion. He has published more than 70 research papers and 9 textbooks in Engineering. He has delivered more than 45 invited lectures across the world and more than 100 training programmes for Practising Engineers. He is a member of SAE, CI, ISTE and is widely travelled to countries such as UK, Germany, France, Italy, Czech Republic, Belgium, Bulgaria, US, Russia, Nigeria, Ghana, China, Malaysia, Singapore and UAE visiting and interacting with more than 30 Global Universities. In his exclusive interaction with Nitish Raj of The Policy Times, Dr. S R Shankapal, Vice-Chancellor of M S Ramaiah University of Applied Sciences, Bengaluru said that a mere degree certificate will not fetch a job for anybody. The curriculum of Indian universities should have a broader outlook to fulfil the aspirations of the wide spectrum of students. Q. Even after such an emphasis towards professional courses; these courses are showing a dip in the recent years. Why? Medicine, Dentistry, Engineering, Architecture, Pharmacy, Nursing, Physiotherapy and Law programmes are normally known as professional courses. 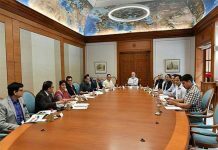 In India, we have 412 medical colleges with 53000 seats, 288 dental colleges with approximately 20000 seats, 3300 engineering colleges with 15.5 lakh seats, 590 pharmacy colleges with approximately 50000 seats and almost 1000 nursing colleges with approximately 50000 seats and a sizeable number of students pursue Physiotherapy. You can say that there are approximately 20 lakh seats that are available. The students from Science stream opt for these programmes. At +2 level, approximately 235 lakh students enrol, assuming a 50% pass rate, 118 lakh students may become eligible for studying degree programmes. These students belong to arts, commerce and science streams. 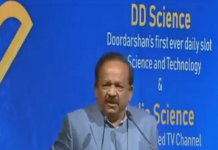 The number of students opting for science is reasonably small and also need to pass entrance examinations to become eligible for admission to professional courses. It looks like there is more supply than demand. Over the years, the number of seats remaining vacant is increasing. There were days when lots of jobs were available (2003-2010), students were particularly flocking to engineering programmes, thus there was more demand for engineering seats and hence more colleges initiated. Over the years, jobs have come down and industries are looking for better quality graduates. Unless the job scenario improves and better quality jobs are available, the scenario may not improve. The dip in medical and dental courses may be due to NEET. Another important factor is Location and reputation of the colleges. Q. Even today we have a number of private universities in our country which are still not able to match the quality of premium govt. Institutions; leave aside the foreign universities. What is the reason of such incomparable quality? Physical infrastructure, Professors and Students are the three basic inputs to a University. The best students in the country take admission into premium government institutions. Most of the premium government institutions are quite old and over the years, they have created better infrastructure with Governmental support. For private Universities, the funds come from Societies or trusts which are limited, more over most of the private universities are not more than 10-15 years old. It takes time for private universities to create quality infrastructure and attract best teaching and research talent. As the ranking system is in place, highly ranked private universities will also start attracting the best students. Nevertheless, many private universities have introduced the best teaching and learning practices, attracting better teaching talent and also have started attracting better students. In Karnataka, CET top rank students are opting for Private Universities for Engineering, Medical and Dental seats. Also, know that Indian families are price conscious as far as higher education is concerned but they may not bother so much at the primary school level. The fees charged in many private universities are well above government institutions. The teaching and learning, research output and graduate quality are almost at comparable levels in many of the reputed private universities. Q. Today almost every university promises 100% placements for its students. However millions of graduates are jobless. Why this irony? Placements can happen if the economy of the Country is doing very well. For placements to happen, students should have good academic records, high skill levels and a positive attitude. Mere degree certificates will not fetch a job for anybody. The institutions, students, as well as their parents must all work towards improving the quality of the education system. Over the years, parents, students and various bodies have put so much pressure on institutions regarding placements that some institutions have turned into placement agencies forgetting the basic objectives of the institutions. A good quality education system and commitment of students for learning can definitely improve the placements of students not otherwise. Q. What should be done in order to make the courses more research-oriented rather than job-oriented by universities? They have failed doing this. Once a student has completed his/her degree programme, he/she should be capable of getting a Job. The Job can be in a research organisation, design and development organisation, manufacturing or services etc. These jobs demand different level graduate abilities. The curriculum of Universities should have a broader outlook to fulfil the aspirations of the wide spectrum of students. However, the curriculum focus depends on human resource requirements of organisations, industries, businesses and the government. If there are a large number of OEMs and Research organisations located in a given geographical location, the organisations will be looking for graduates who are creative, innovative, critical and analytical thinkers and problem solvers. Then the University curriculum focus will be on research based problem solving; if the industrial atmosphere is service oriented, then the capabilities of graduates required are somewhat different and the university focus will be to meet these requirements. Please note that, the curriculum should have a broader outlook but focus depends on what your market demands are. The Country may experience brain drain as the intellectual environment prevailing may not challenge intellectually gifted graduates. Q. There are always complains of students being outcasted in universities based out of their home state, this has grown like an epidemic after the infamous ragging tradition. What approach should the management follow in order to abolish these events happening? A good University always encourages a multi-cultural, multi lingual environment in its campus. Teachers, students, parents and citizens must learn to understand cultural differences and develop a tolerance level. Our university’s aim is to prepare and groom future citizens of the world. Q. In private universities there is a ritual of donation. How can such a tradition be stopped? Don’t you think it harasses the quality of education? The days of donation are gone. For a long time, the demand for the programmes were high with limited supply. Management of these private universities have encashed on the opportunity. Now there is huge supply and less demand. The Colleges and Universities are becoming more transparent and Governments have also become strict about it. In our University, right from its inception, we have never encouraged it and we have displayed all the information on our website. I know, the parents research and analysis about a university admission of their child. Q. Today education has become synonymous to business; what should be done by the leading universities in order to keep intact the piousness of education? My strong advice is that parents and aspiring students need to do a lot of research about the university before seeking admission. If the parents and aspiring students have aspirations matching their abilities and talents, the piousness automatically creeps into the university system. Of course, the Universities should put best practices for the growth and all-round development of students and teachers in place for their long term sustainability and growth. Q. Even today we have do not have the tradition of celebrating drop-outs whereas foreign universities give priority to them in giving them admission once again. What need to be done by our universities? I do not think this is an issue anymore.